On January 29, 2018, exMayor.com filed an objection with the Superior Court to Clinton Township’s affordable housing settlement agreement with Fair Share Housing Center. The objection focuses on several issues including the township’s violations of the Open Public Meetings Act (OPMA), conflicts of interest of its planning board and municipal attorneys, and conflict of interest of the court’s appointed special master in the case. Nj.com and the Hunterdon Democrat reported the OPMA violation story. In light of these problems, exMayor.com has asked the court to reject or stay the agreement until the OPMA violations are cured and the township schedules a public hearing in the township, not in court, so the township council may present the settlement agreement and the affordable housing plan to the public, and so the public may participate fully in the process. These attorneys are on both sides of the transaction and the objection asks the court to consider what the proper action is to cure the conflict. The objection also asks the court to remove special master Michael Bolan from his role as advisor to the court on the settlement. Bolan was the township’s professional planner in 2005 when a similar affordable housing settlement deal was prepared with his help — a deal that included Windy Acres, which is one of the properties in the current settlement. Bolan advocated for the settlement in 2005 in a questionable manner and later was not reappointed township planner in part due to it. 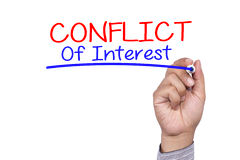 These conflicts of interest and the township’s failure to keep planning board minutes as far back as 2016 combine with the council’s secretive behavior to suggest an intention to deprive the public of a fair and open government process. The objection document includes a Certification and a Letter Brief that detail the history of the matter and present arguments to support the request to the court to stay or reject the settlement. While the court has cancelled the February 12 Fairness Hearing, it appears that a new Fairness Hearing will be scheduled after the council amends the settlement agreement. It is unknown at this time what the amendment will be. This entry was posted in Affordable Housing, COAH, Municipal, Sprawl, Windy Acres and tagged amendment, conflict of interest, fairness hearing, Jonathan Drill, Michael Bolan, objection, OPMA, settlement, Trishka Waterbury Cecil. Bookmark the permalink.